Yeah go ahead, might as well throw some flax seeds in there too. I may slight Trader Joe’s for their gaffs, but I love them for just these feats of daring audacity. Obviously no sane person would try to take fully popped sweet and salt kettle corn, then try and compress them down into flat discs. Leave the popcorn to the popcorn and the chips to the chips, the average consumer might say – their sense of normalcy firmly ingrained by the stream of mundane products churned out by mainstream grocers. 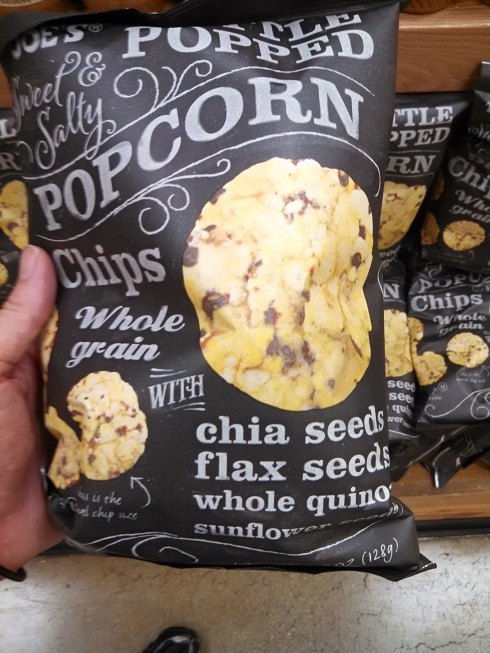 Not only has TJ’s just made chips out of popcorn, but they went ahead and started throwing in whole fistfuls of quinoa, sunflower seeds, and chia seeds in as well. I’m going to give them full points for thinking outside the box on this one. That said, are they any good. Well, as you might imagine from such a hybrid snack, it does many things serviceably, but nothing amazingly. While shaped like chips, they certainly don’t behave like chips. That is to say, these popcorn chips can’t be dipped or dunked. Their popcorn nature makes them much to fragile for that. The only thing that the chip nature is good for is to give a home for all the seeds. The scattering of quinoa, sunflower, and flax seeds give the otherwise ordinary kettle corn a nuttier taste and a sort of extra intriguing crunch. However, because the chips are so fragile they tend to break up immediately in the mouth, so there isn’t really much time to appreciate it. 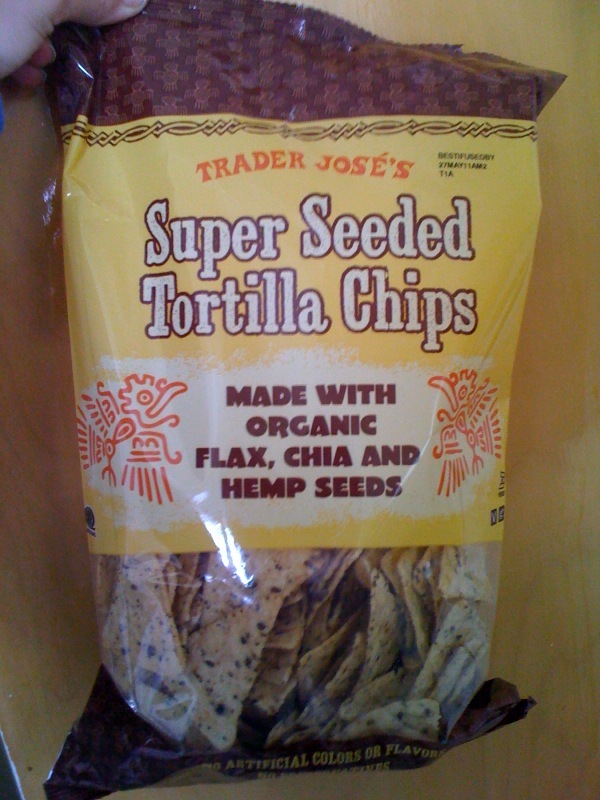 I like the idea of mixing in those seeds, but unlike, say, Trader Joe’s Super Seeded Tortilla Chips, these just don’t hang around long enough to have much of an impact. 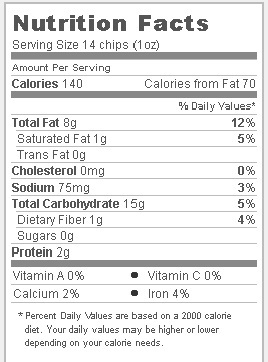 It almost seems like a waste of the seeds, and an unnecessary source of additional fat. 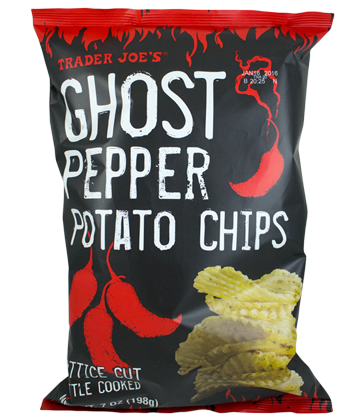 Ultimately, Trader Joe’s Kettle Popped Sweet and Salty Popcorn Chips are an interesting new snack, but fail to make a strong case for buying a second bag. Would I Recommend It: No, just go pick up some regular kettle corn. Would I Buy It Again: I’d give it a pass. Final Synopsis: Tasty kettle corn, compressed into an unnecessary disc shape. 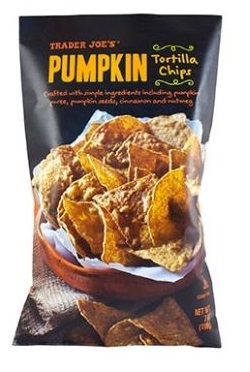 Doesn't the name suggest that this chip has already been outdone? 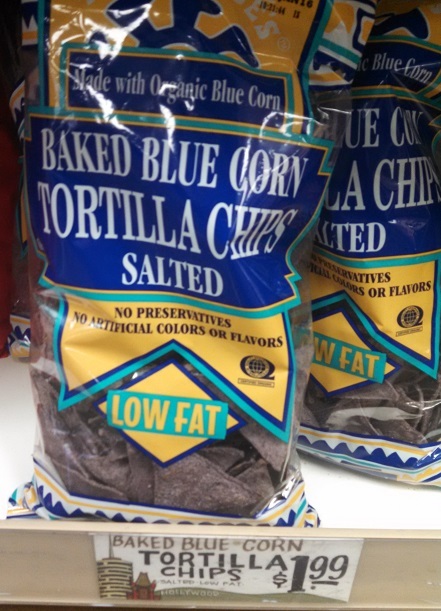 Okay, let’s get real here again – real about really delicious tortilla chips. Today’s delicious offering are the nuttiest chips you’re likely to find – nutty because they are chock full of organic seeds that make your chip’s crunch crunch. As the bag boldly proclaims – these chips are made with organic flax, hemp, poppy, caraway and chia seeds. That’s right, chia seeds aren’t just for growing afros on novelty porcelain busts anymore – they’re in your chips! Forming the substrate for the seeds you’ll find a mix of organic white corn flour and “expeller pressed” safflower / sunflower oil. Expeller pressing is simply a method of extracting oil from seeds and such by crushing the hell out of it in a big press, as opposed to the more efficient method of dousing it with poisonous chemicals (generally some sort derivative of crude oil derivitve). Healtheir? Arguably, but it definitely sounds better. So this product gets full brownie points for being hippie-friendly as all get out, but are they good? In this case, the hippies win. 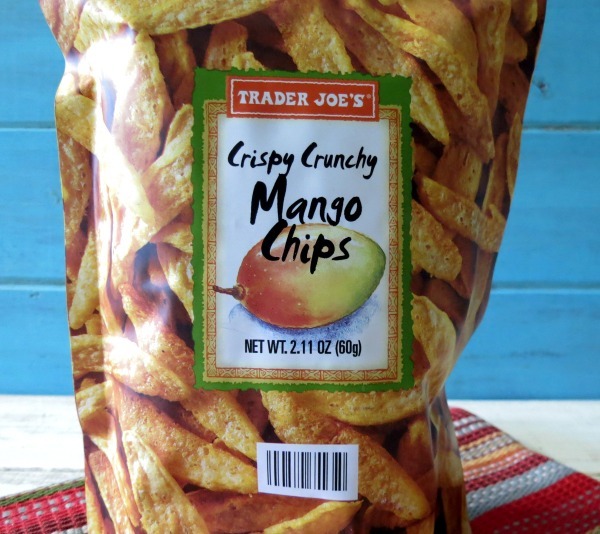 The extra crunchy, nutty flavor the chips suits the tongue just right – a welcome change up to the entirely mundane plain tortilla chip. 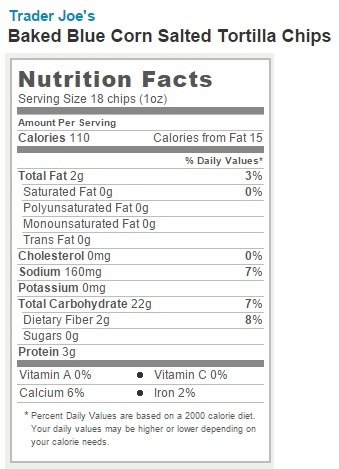 That said, these chips are as all-purpose and utilitarian as your ordinary sack of chips. The caraway seeds, organic or not, still pack that overpowering caraway flavor. Since you don’t taste one until you happen to crunch down right on it, it’s not a taste you can expect in every bite. Eat your salsa with these chips and every few bites it’ll taste like you’re eating salsa on rye bread. Limit these chips to heavier, savory tastes – hummus and guacamole. Would I Recommend Them: Absolutely, but plan for the caraway seeds or you’ll be sorry. Would I Buy Them Again: If I needed to casually impress a vegan. Final Synopsis: Combine a good new taste with a clever pun and I’m sold every time.